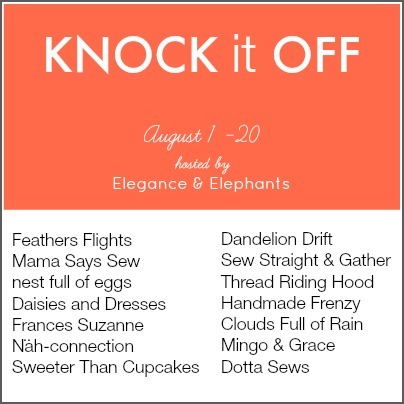 I was so excited to be asked by Heidi of Elegance and Elephants to be a part of her Knock It Off series this year! I discovered a new passion for sewing for my kids when I discovered this series last year and sewed along. I mean seriously. If I can make clothes so similar to rtw, save loads of $, and have them wear designer-esque fashion, it's a win, win, win!! So when I was trying to decide what to make, I of course turned immediately to my Pinterest boards for inspiration. And it was tough to narrow it down! SO many outfits I'd like to make for both my boy AND my girl. I finally settled on this outfit for the boy that I found via Picnik. I fell in love with the shorts and the shirt color first. Then as I started planning my execution and took a closer look to the graphic on the tee, I realized I could kill two birds with one stone with this outfit! You see, E's 5th birthday is next week (!!!) And a 5th birthday definitely is cause for a new birthday-ish outfit! So as I took a closer look at the tee and realized the graphic incorporated balloons, I thought, why not customize them to FIVE balloons for my soon-to-be five year old!? 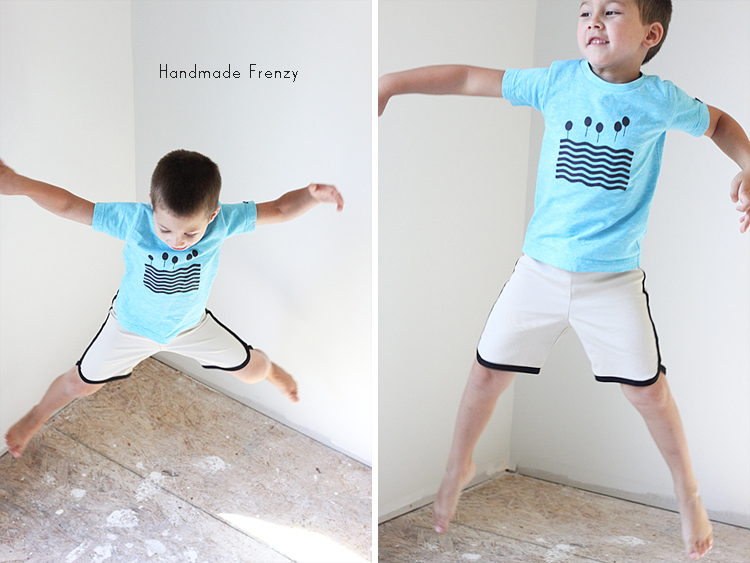 He is completely thrilled with his birthday tee! To make the shorts I used a khaki twill and black bias tape, both from Joanns. I started with the Clean Slate Pants pattern and then referenced Dana's tutorial on how to turn them into racer shorts. I added a bit of ease to the side seams (about 3/4") and also used a rib knit for the waistband, inspired by the Picnik shorts. (Which I don't have a photo of, sorry!!) And those changes really did up the comfy factor of the shorts alot! 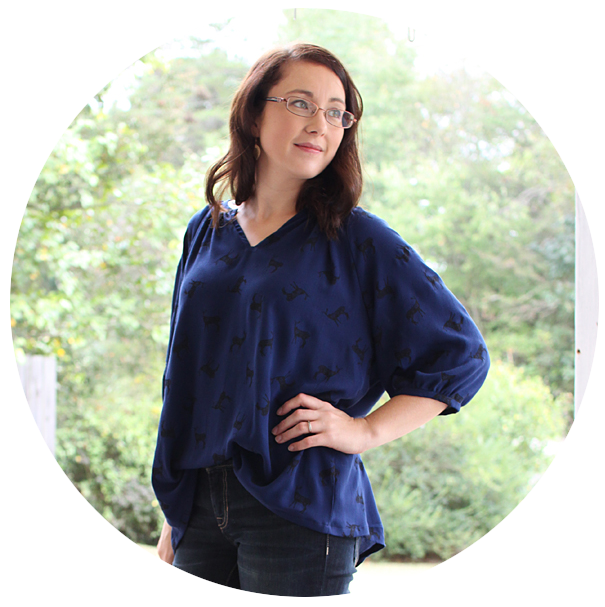 For the tee I used a thrifted polo and used existing hems (I LOVE doing that!). I used the Anytime At All Tee pattern by Shwin Designs. I'm really happy with the fit of the main tee. I did however have to alter the neckline quite a bit. I made a muslin first and the neckline was cut out way too much, it wouldn't even stay on his shoulders. So for this tee, I cut the neck quite a bit smaller by referencing a tee pattern that fits well and the outcome is great. In fact I think it's the best fitting tee I have made him to date. Also, pay close attention to the size chart, this is a straight size 3t. I had lengthened the muslin tee but decided it was too long. The 3 fit is great on him. I am so so happy with how his outfit turned out and I can't wait for him to wear it to his birthday bash next week! Now as to how much money I saved?? I saved a whopping $90.46!!! 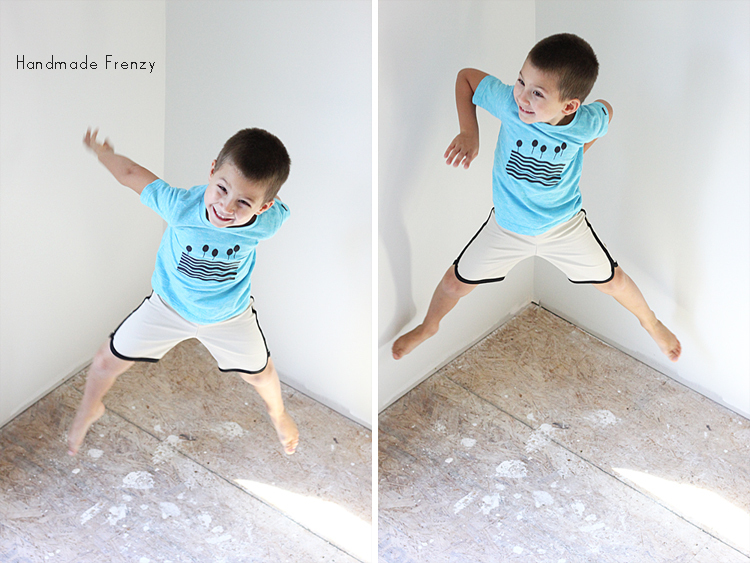 And no photo shoot with E is complete without a few goofy poses! Be sure to check out all of the other blogs included in the series, there are some amazing looks being created! 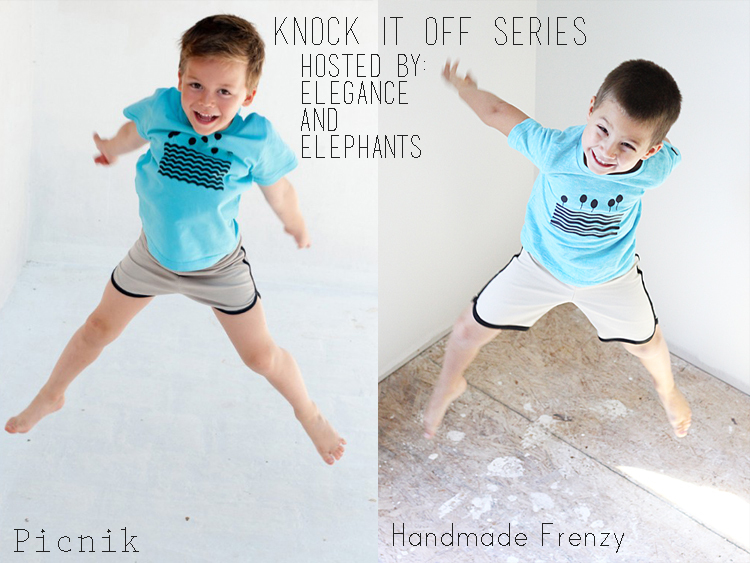 You can also sew along and submit your photos to the Knock It Off Flickr Group and be entered to win one of two amazing prizes valued at $100 and $50 from Gold Star Tools! Nice!!! Super cute and beautifully bright! Love it. Love the poses!! Your little man is quite photogenic! First, the original tshirt was how much? Oh my. And yours is so much cuter! I really love the shorts and they do look extra comfy! Amazing Heidi - sooooo impressive and professional!